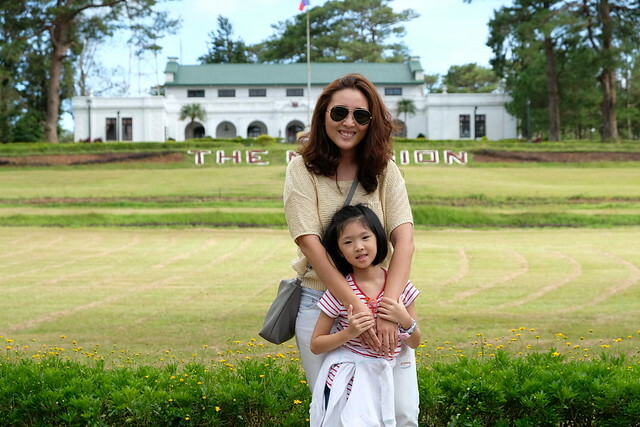 With our erratic weather nowadays, my kids' and my skin are starting to show dryness. While I have skin eczema, they normally don't have dry skin but with this weather, dry skin may be inevitable. It can really get frustrating and there are times when my kids don't want to put lotion because it gets sticky throughout the day and when the itching spell begins, ayayayay! I can't blame them because I know the discomfort they feel. 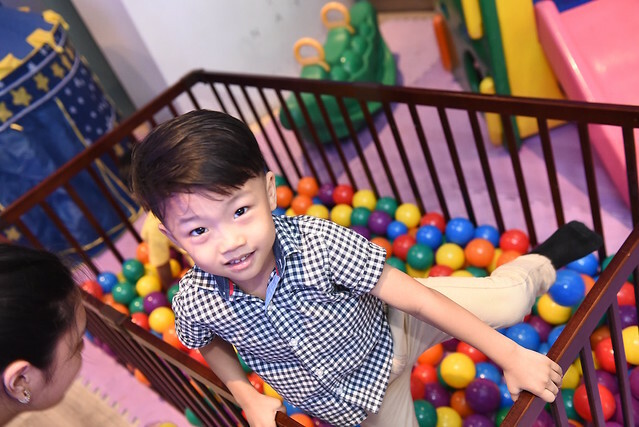 We want our kids to be comfortable, free of dryness and itchiness and always be happy! 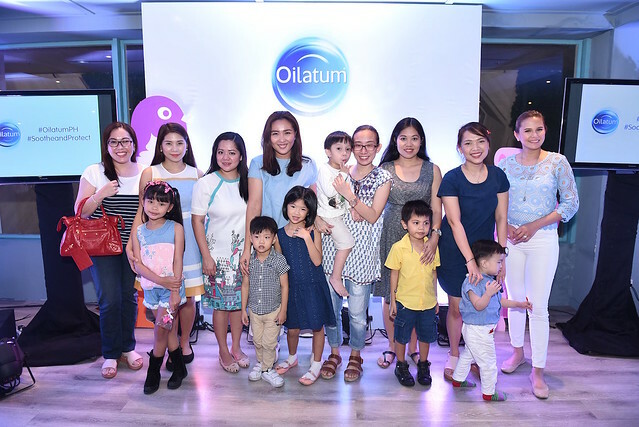 I recently attended the launch of Oilatum's newest products, the Oilatum Soothe & Protect baby line at Cafe Naya and I'm really happy that they came out with this line. Oilatum has been around for so long, I remember using the bar soap when I was in high school for my face because you know adolescence haha! But really, I used it on my face and my body as recommended by my dermatologist. 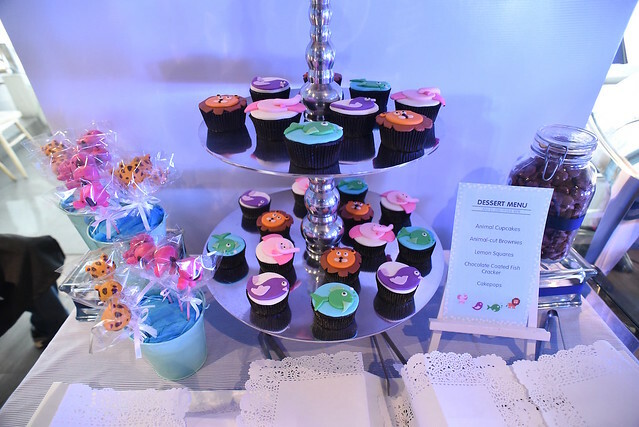 It was a small and intimate event attended by fellow mom bloggers and the program was hosted by new mom Isabel Oli-Prats. 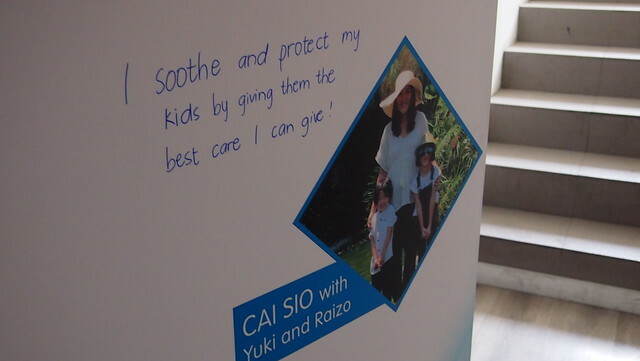 A few weeks before the event they asked me to send a photo of me and my kids and that picture was included in a wall at the event where I wrote an answer to the question "How do you soothe and protect your child?". Here's Y looking for our photo. And there's my answer! Na-ambush ako kaya hindi na nakapagisip masyado. Heehee! The lovely Isabel Oli-Prats who doesn't seem to have given birth and looking so fresh! 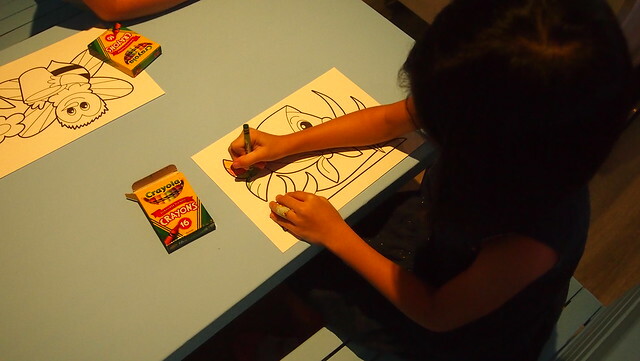 They had a play area and arts and crafts corners for the kids while the mommas make chika with other moms and so we can also put our attention to the program. Thank you Spark It to your superb interns who entertained my kids and also for their patience! R enjoyed the mini playground especially this ball pit! While achi went for the arts and crafts section. 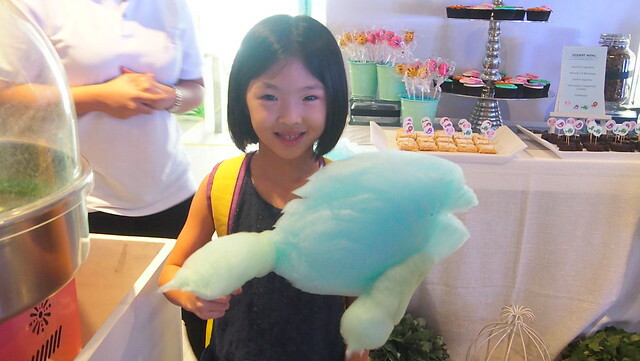 They also had Pouf Cotton Candy Art which we all find amazing and gave my kids sugar rush hahaha! Ok lang, enjoy naman sila! Y and her Finding Dory cotton candy! 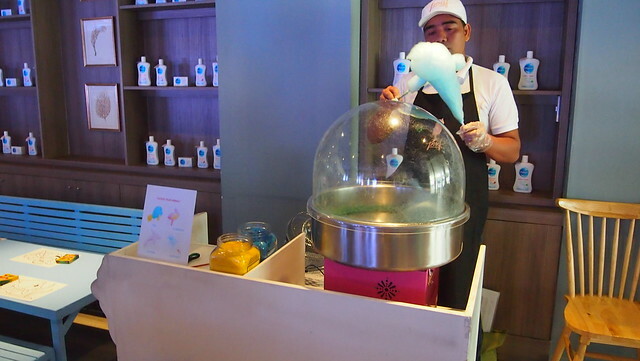 Serious sila sa cotton candy! Haha! I was looking for milk powder to make budbod the cotton candy... hahaha! That's how I like to eat it. Lolz! 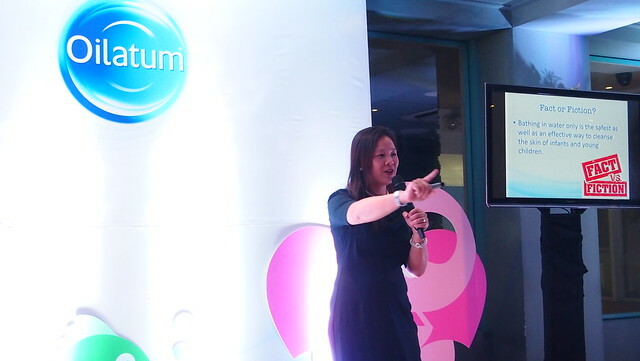 A short but very informative talk about dry skin and how we should care for it was given by dermatologist, Dr. Cindy Jao-Tan. One thing that stuck with me was to put lotion while the skin is still damp not dry so the skin will absorb the lotion and all of its goodness. I always thought I should pat the skin dry! Eeeep! The new Oilatum Soothe & Protect baby range is clinically proven to provide immediate relief and long-term prevention for babies and children with dry and irritated skin. Oilatum has 50 years of proven scientific expertise and efficacy in dermatological skincare for babies. 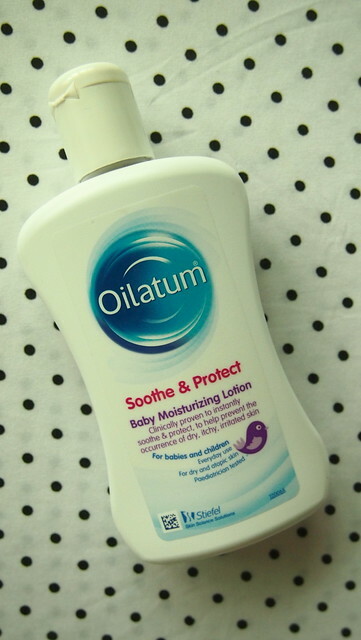 Oilatum Soothe & Protect Baby Moisturizing Lotion (200ml, SRP Php450) is clinically proven to help reduce occurence of dry, irritated skin in babies, even newborns. It contains nourishing mineral oils and moisturizers to help soothe and protect your baby's skin. This product helps prevent further dryness by nourishing the natural moisture barrier of the skin. 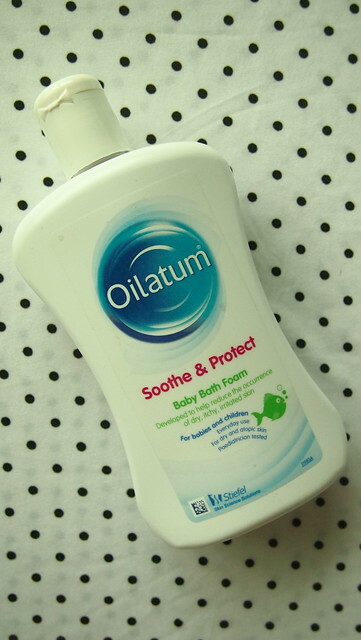 Oilatum Soothe & Protect Baby Bath Foam (300ml, SRP Php360) contains ultra gentle, effective cleansers for dry skin. Safe for everyday use, it helps to reduce the occurence of dry, irritated skin. 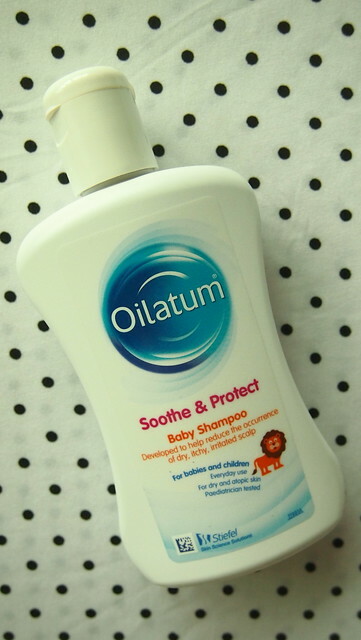 Oilatum Soothe & Protect Baby Shampoo (200ml, SRP Php300) is kind on the eyes and contains an ultra gentle yet effective cleaner for the hair and scalp. It also has a detangling and static control properties to better manage your little one's hair. It's suitable for everyday use, even for newborns. 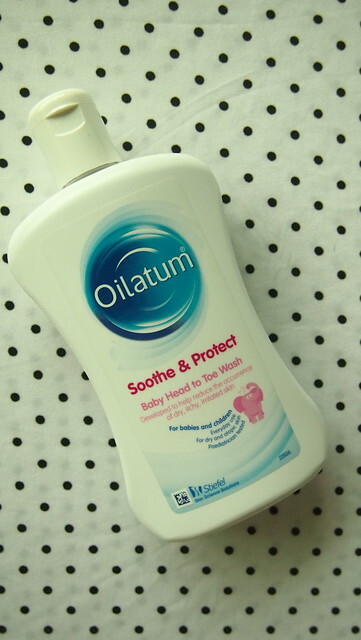 Oilatum Soothe & Protect Baby Head to Toe Wash (300ml, SRP Php400) helps reduce the occurence of dry and irritated skin with everyday use. Suitable for babies amd children, it contains an ultra gentle yet effective cleaner for the hair, scalp and body. This product helps prevent further dryness by nourishing the natural moisture barrier of the skin. 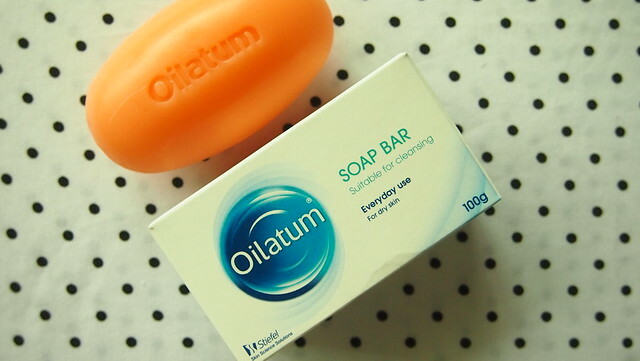 Oilatum Bar Soap is suitable for everyday cleansing for your baby's skin. We only want the best for our kids, to see them happy and free of discomfort. 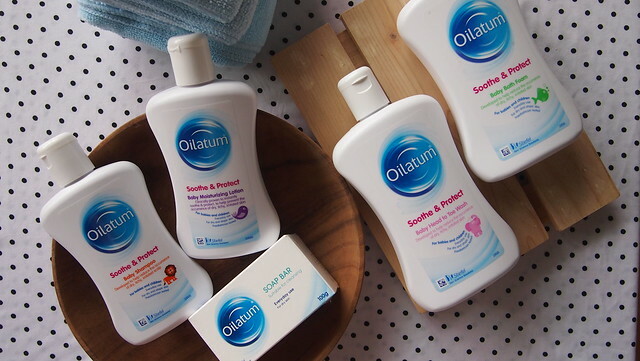 Oilatum Soothe & Protect baby range is here to help break the dry skin cycle, providing relief and protection from irritants and other external aggressors. 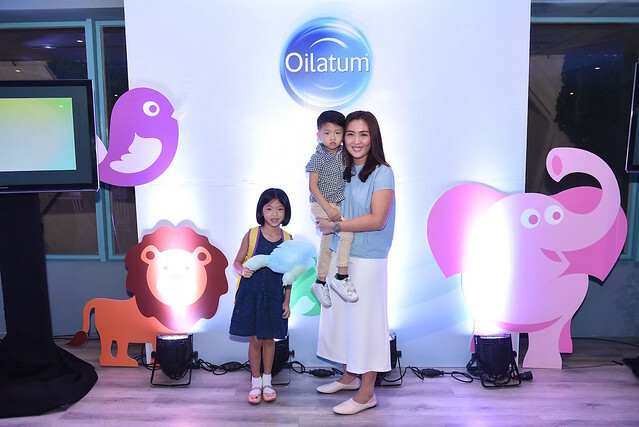 With Oilatum, my kids' skin is soothed and protected everyday! 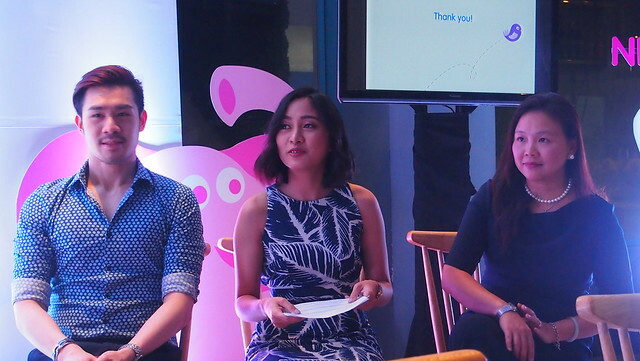 Fellow mom bloggers who attended the event! Oilatum Soothe & Protect baby range is available at Mercury Drugstore, Rustan's Fresh, Landmark, Royal Duty Free and Rose Pharmacy. Soon to be available at Shopwise, Robinson's and SM Save More. 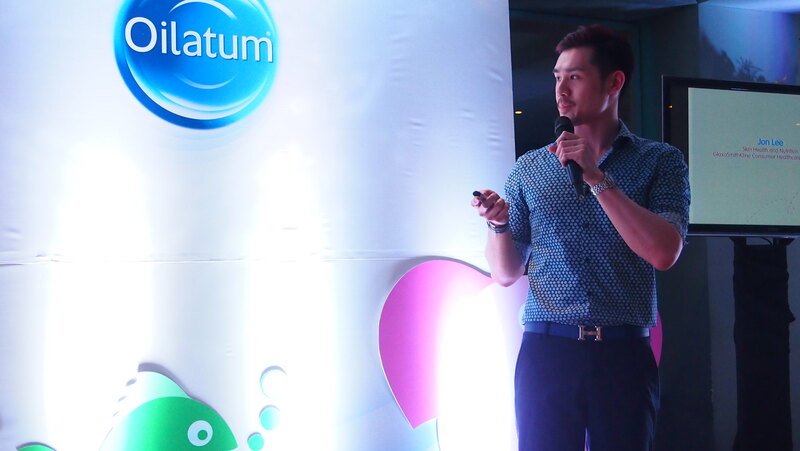 For more information and tips from experts, visit www.oilatum.com.ph!